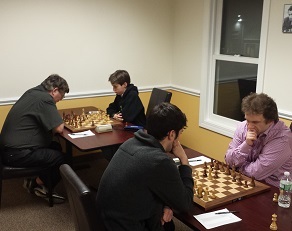 Tonight’s six player swiss was won by rating favorite Nicolas Checa with a perfect 3/3 score. 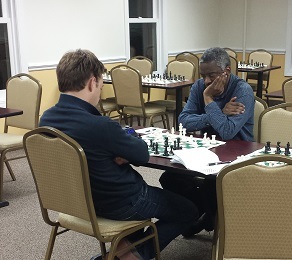 Daniel Cooper and Leo Bykhovsky tied for second place with 2/3 each. Both Bykhovsky and Cooper’s only losses were against the winner Checa.